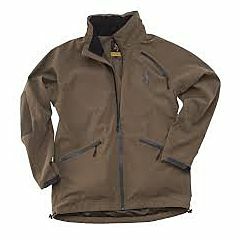 Men's hunting jacket Active Mars in microfiber, with BWB EVO-Beretta Waterproof Breathable membrane and taped seams. It can be combined with the BIS-Beretta Interactive System garments. 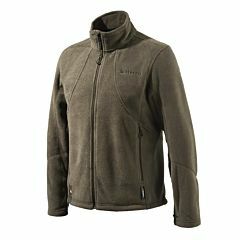 The men's hunting jacket Active Mars is designed on the B - Active kinetic chain and realized with our 3 layer protection system with the BWB EVO - Beretta Waterproof Breathable membrane bonded with the microfiber outer shell. 4 way waterproof stretch inserts are positioned in key areas, to offer maximum freedom of movement. All seams are taped and the zip are waterproof ensuring complete waterproofness. 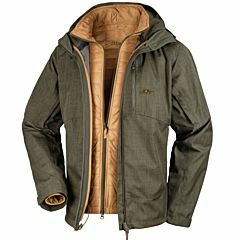 In extremely cold weather conditions this jacket can be combined with the BIS - Beretta Interactive System garments. Active The Active segment collects all the garments studied for the walked up hunting, both for hare or wing Upland hunting and for stalking in Big Game. All the products in the Active segment ensure maximum protection during the hunt and are suitable for long walks in the woods or in the field. 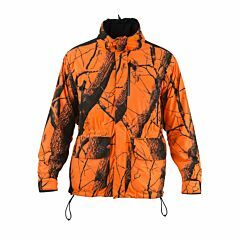 Jackets, vests and pants are designed to guarantee easy access to pockets, cartridge holders and game bags, providing who wears them with maximum comfort. The Active line includes garments that can adapt to several different climate conditions, as they can be combined with the BIS-Beretta Interactive System, innovative clothing that, in case of intense cold conditions, can become the perfect second layer under the garments suitable for mildest climates and maintain the optimal body temperature. All the garments in the Active segment are water-repellent and/or waterproof, breathable, lightweight and silent. Features B – Active kinetic construction. Ergonomic stretch insert on the adjustable and removable hood. No–skid patches on the shoulder. Ambidextrous radio pockets. B – Active Pockets on the front with easy wear backpack system. Waterproof zip with easy grip zip puller. Armpit ventilation opening. Preformed sleeves with waterproof stretch inserts. Strap regulation on the cuffs and inner detachable cuff with thumbhole. 4 way waterproof stretch inserts in key areas.Inshape back bi – swing with elastic inner panel. Double entrance game bag with washable lining. Beretta Hands Free shoulder straps. Inner pockets on the shoulders for the Beretta Recoil Reducer. BIS-Beretta Interactive System hook.